The vitals for day 4 of this challenge came in with the following: weight, 183.5 (loss of 3 pounds in 4 days) blood pressure, 127/86 after medication. Well the true test, traveling and being a vegan. VW bus packed (what else would I be driving during this challenge) I headed out on a two day trip to Charlotte. My journey begins with a Starbucks venti black coffee, banana and a dang difficult to peel clementine while driving (thought I was going to have to pull over) and made my way to a meeting in Danville, Virginia about a 3 hour drive from Richmond. It did not take long for the banana and clementine to wear off and I got hungry. 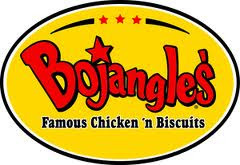 I believe my hunger was escalated with every Bojangles I passed. Enter the Bumble Bar: Have you had one of these? Oh my, I am glad I stocked up for meetings tomorrow and I might even have to go forage tomorrow night for Thursdays meeting. Vegan or not you have to try these bars and they are officially my new snack! Lunch - as anticipated - was a challenge. Out of everything on the menu my only option was a house salad with ice-burg lettuce, carrots, shredded red cabbage, and cucumbers with an oil and vinegar dressing. The chef salad was the above with ham, turkey, cheese, and an egg for $6.95. I just asked them to double the house salad and add no meat, cheese, or egg. Lesson 2 from this challenge: my muscles have started cramping everywhere from my calf, back, chest, and even my hands. As I head out of Danville hoping the solution for this cramping is a hot dog STAT, I soon learn that when you change your diet and eat less processed foods there is less salt. Reviewing back in my head my recent eats, I soon realize I have really eaten no processed foods for three days! I need salt! Well, really a bag of salty cashews and a Gatorade curbed that temptation. Dinner will consist of apples, nuts, sunflower seeds, and water as I have work to do, am not very hungry, and I am really just going to get some rest. I will call this a challenging day and hope for a better day tomorrow. How much salt was in your diet today? Honey is not vegan. It surprised me but there you have it! I see that this Bumble Bar is organic, however not vegan. Have a great day! Hi there so glad you stopped by and congrats on choosing to be vegan! I too was very surprised to learn that things like honey and even white sugar are not vegan. I also wanted to let you know to not let the bumble bee on the packaging fool you these bars are indeed vegan. They address the bumble bee on their page of FAQ's here http://www.bumblebar.com/faq.html. So I hope you pick one up soon to snack on as it did help curb my appetite when I chose this diet project two years ago.